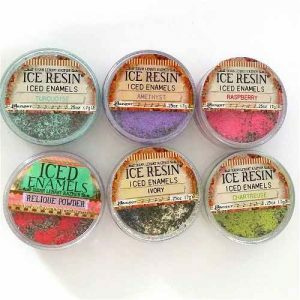 Iced Enamels® are a unique, custom formulated, proprietary Cold Enameling system for permanent adhesion of color on metal (and polymer clay too!). 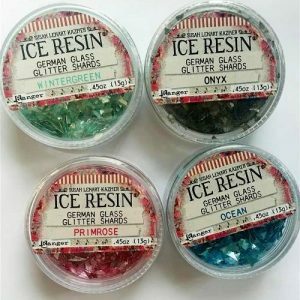 It’s a custom system of enameling powders, enameling medium and ICE Resin® that work symbiotically to create a permanent, jeweler’s grade bond of color on all types of metals, from precious metals to base metals (and baked polymer clay). 15 ML Jar. 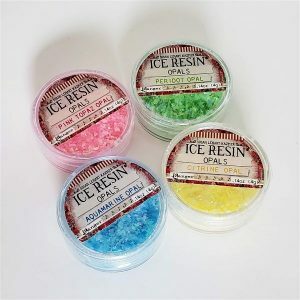 Ice Resin Blanks are shapes that are ready to be added to your next Ice Enamel and Ice Resin projects. Consider them a little blank "canvas" for your creativity. 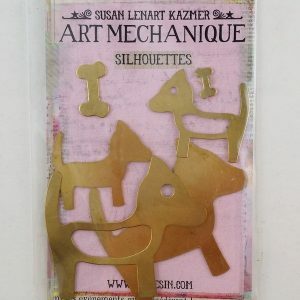 Silhouettes Dogs & Bones- 2 bone shapes of different sizes, 2 small and 2 large generic dog shapes, all in Brass-tone metal. One of each of the dog sizes has an open eye and an open torso area. Bone sizes about 3/8" and 3/4" long, small dogs about 1 3/8"x 1.25", and larger dogs 2.25"x1 7/8". RUNE Bezel-ELLIPSE Antique Bronze (1 piece) Over-sized Metal Bezel. Fill with resin or polymer clay. Some can be attached by both ends. Introducing a new collection of Susan Lenart Kazmer Bezels to the ICE Resin® product line. The new Rune Bezels replicate original designs by Susan Lenart Kazmer and are available in Antique Silver and Antique Bronze finishes in a variety of shapes and sizes. Rune Bezels have a closed back and are ideal to fill with ICED Enamels, Shattered Mica, German Glass Glitter, Opals & ICE Resin® or ArtResin epoxy. The Iced Enamels® program is a unique, custom formulated, proprietary Cold Enameling system for permanent adhesion of color on metal. (It also works on polymer clay!) 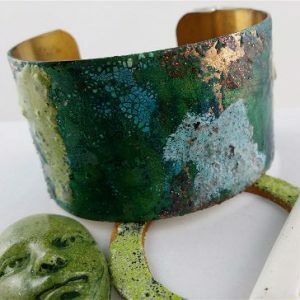 Our custom system of enameling powders, enameling medium and ICE Resin® work symbiotically to create a permanent, jeweler’s grade bond of color on all types of metals, from precious metals to base metals. 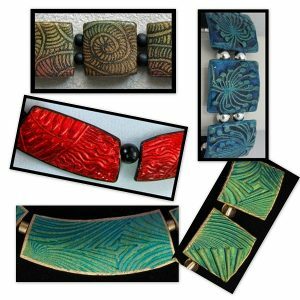 Iced Enamels® were expressly developed for creative people who enjoy the look of torch-fired or kiln-fired enamels as much as we do. 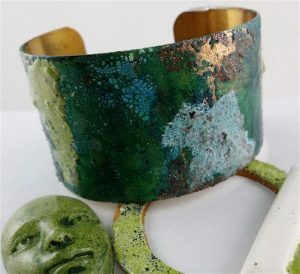 Combine our Enamel Medium with our quick-melting Relique powders and solidify with a craft heat gun for beautiful mixed-media metalwork in minutes. 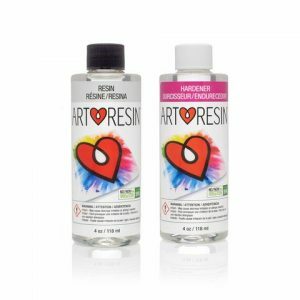 Seal with a thin coat of ICE Resin® to create a permanent Cold Enameling bond that will never rub off, fade or yellow over time. 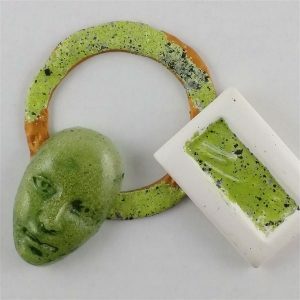 Iced Enamels® can be used with metal bezels or your DIY polymer clay bezels created with the CaBezel molds. RUNE Bezel-ROUND Antique Bronze (1 piece) Over-sized Metal Bezel. Fill with resin or polymer clay. Some can be attached by both ends. Introducing a new collection of Susan Lenart Kazmer Bezels to the ICE Resin® product line. The new Rune Bezels replicate original designs by Susan Lenart Kazmer and are available in Antique Silver and Antique Bronze finishes in a variety of shapes and sizes. 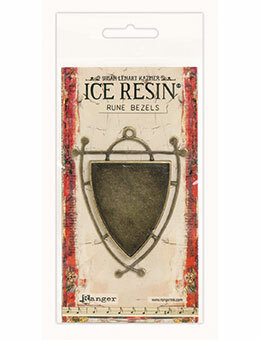 Rune Bezels have a closed back and are ideal to fill with ICED Enamels, Shattered Mica, German Glass Glitter, Opals & ICE Resin® or ArtResin epoxy. Susan Lenart Kazmer-ICE Resin Opals (3 grams) Capture opalescent beauty when you add light catching Opals to your designs under resin. 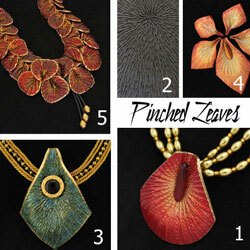 Opals add a lot of shimmer and a hint of color and texture to your creations. Mix colors together or with other materials for unique effects. Introducing several new colors to the collection of ICE Resin Opals. Cobalt Opals, Sand Opals, Silver Opals and now Aquamarine, Citrine, Peridot and Pink Topaz. RUNE Bezel-ROUND Antique Silver (1 piece) Over-sized Metal Bezel. Fill with resin or polymer clay. Some can be attached by both ends. Introducing a new collection of Susan Lenart Kazmer Bezels to the ICE Resin® product line. The new Rune Bezels replicate original designs by Susan Lenart Kazmer and are available in Antique Silver and Antique Bronze finishes in a variety of shapes and sizes. Rune Bezels have a closed back and are ideal to fill with ICED Enamels, Shattered Mica, German Glass Glitter, Opals & ICE Resin® or ArtResin epoxy. RUNE Bezel-SHIELD Antique Bronze (1 piece) Over-sized Metal Bezel. Fill with resin or polymer clay. Some can be attached by both ends. Introducing a new collection of Susan Lenart Kazmer Bezels to the ICE Resin® product line. The new Rune Bezels replicate original designs by Susan Lenart Kazmer and are available in Antique Silver and Antique Bronze finishes in a variety of shapes and sizes. 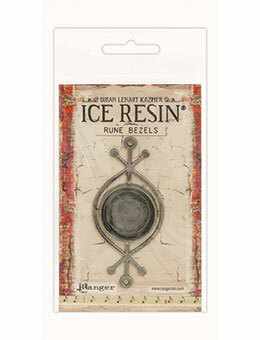 Rune Bezels have a closed back and are ideal to fill with ICED Enamels, Shattered Mica, German Glass Glitter, Opals & ICE Resin® or ArtResin epoxy. 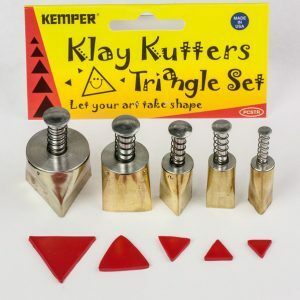 Set of 5 triangle shaped cutters 3/8", 1/2", 5/8", 3/4" 1" Rust-free brass with spring-returned plungers. Precise and accurate.